Manikuttan is an upcoming South Indian actor who has primarily acted in Malayalam movies. He made his debut in the field of acting by enacting a role in a Malayalam movie titled Boyfriend. This film was directed by the ace director of Malayalam movie industry Vinayan. Before his entry into the field of movies, he was busy acting in Malayalam serials. The most notable serial in which he acted was Kayamkulam Kochunni. As a child actor, he acted in a Malayalam movie titled Varnachirakukal back in the year 1999. Manikuttan was born on March 2, 1987 in the capital city of Kerala. He was born into a Christian family settled in Thiruvananthapuram. His original name is Thomas James. He had his schooling from St. Mary's High School in a place called Pattom in Thiruvananthapuram district of Kerala, After successfully completing the secondary school and plus two courses, he joined Mahatma Gandhi College for his Bachelor's degree in Commerce. When he was studying in the college, he used to take part in different programs in the college as well as youth festivals. At youth festivals, he represented the college and won few awards and accolades for the college. Manikuttan, alias Thomas James, was not new to the film industry when he took up the first film assignment given by the ace director Vinayan. As a child artist, he had acted in many dramas in Doordashan. Hence, the audience of the state was not new to Manikuttan. When he grew up, he resumed his acting career by acting in the serial Kayamkulam Kochunni. This serial was broadcast by Surya TV, a member of Sun TV Network, in its prime slot. This serial had become popular amongst the people of the state and generated a large viewer base. His acting in this serial made a huge impact in the minds of the people. Because of this, he never looked back and was steadily getting offers from other serial makers of the region. After marking his presence in serial industry, Manikuttan was getting good roles in different serials. These serials were broadcast in reputed TV channels like Surya TV, Asianet, Kairali TV, etc. Due to this, his popularity grew as a talented actor. Hence, some of his performances in the serials were noted by big tickets in the film industry of the state. The first person to offer a role to Manikuttan in Malayalam cinema was Vinayan. He was so impressed with the performances that he personally called Manikuttan and informed him about his decision to give him a role in his next film. Accordingly, he resumed his acting career in Malayalam film industry by acting in the film Boyfriend, which was directed by Vinayan. In this film, he co-starred with the veteran actor Mukesh. This film made some movement in the box office and his acting performance was noted by the other directors who were initially hesitant to give him a break. He came as a cameo in another film directed by Vinayan. The name of the film was Black Cat. The next director to give break to Manikuttan was Viji Thampy. He offered a role of Nandu in his film titled Bada Dosth. In this film, he shared the silver screen with another veteran actor Suresh Gopi. This movie was a mediocre movie and it did not make any impact in the box office. However, his next film by the name Kalabham did create an impact in the box office and got positive reviews from the general public and film critics. In this film, he acted opposite to Navya Nair. This film was directed by Anil Babu. The other films in which he featured include Mayavi, Hareendran Oru Nishkalankan, Heart Beats, Twenty20, MinnaminnikKootam, Kurukshethra, Dr. Patient, Passenger, Positive, etc. Of these, the movies such as Twenty20, Passenger, Kurukshethra and Minnaminnikootam made a huge impact on the box office. For his performances in these films, he got special appreciations from the film critics in the industry. Since his debut in the year 2006, Manikuttan was not getting any decent roles in films, barring 2-3 films initially. The scenario changed after 2011, when he started getting characters and important roles in the films. The film that gave him break as a character actor was four friends. In this film, he acted along with Jayasurya and Meera Jasmine. This film acted as a game-changer for him. Subsequently, he acted in the films such as Elsamma Enna Aankutty, Doctor Love, Kunjaliyan, Thattathin Marayathu, etc. In these movies, he got roles of some importance, and he did well in those character roles to become the cynosure of the existing directors' eyes. 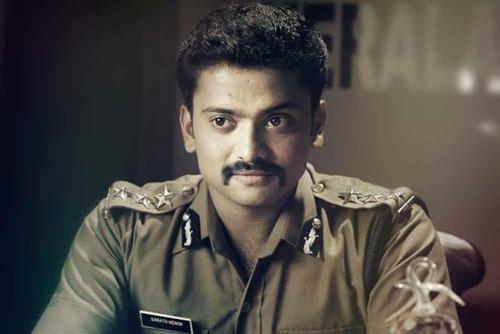 In Thattathin Marayathu, he shared the silver screen with Navin Pauly, Isha Talwar, and Aju Varghese. This film made a huge impact on the box office and many of its songs gone so well down the mind of the people that they started humming the songs in their household. This film was directed by young sensation in the directorial circles of Malayalam movie industry Vineeth Srinivasan. The other movie in which he did a commendable role was Kunjaliyan. This film featured him along with the likes of Jayasurya and Ananya. This film also created some movement in the box office of the film industry. This film was directed by Saji Surendran. The other films in which he featured include Simhasanam, Scene Onnu Nammude Veedu, Hotel California and Crocodile Love Story. The Scene Onnu Nammude Veedu film was noted for its simplicity of plots, creativity and thought-provoking message it conveyed to the audience, His latest movie the Crocodile Love Story also had a slightly different story to tell the audience. Yet, it did not get the reception it warranted from the audience. Manikuttan is the upcoming Malayalam film actor. He has been in the field since 2006. Though he was in the field for about 7 years, he did not get the importance he should have got. Nevertheless, he is active in the field doing justice to whatever role he receives. He came to the field when he was a child artist and acted in a children's film by the name Varnachirakukal way back in the year 1999. When he was a child artist, he acted in dramas and plays in Doordarshan. After that, he took a break in his acting career to concentrate on his studies. Manikuttan once again became active by taking acting assignments in different television serials in the state. The most notable television serial featuring him was Kayankulam Kochunni. This serial was liked by the serial-watching audience. Due to this serial, the viewership of Surya TV channel went up. After a while in the television industry, he came back into the movie field, when he chose to act in a Vinayan film Boy Friend. In the initial years, he did not get the importance he deserved. Towards the end of 2010, he got a nice break in the movie Four Friends. In this movie, he did a character role that has some importance in the plot of the movie. From that point onwards, he started getting smaller and bigger character roles in Malayalam movies.